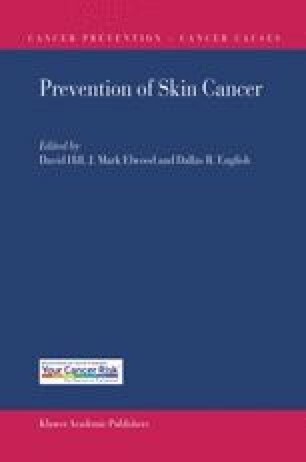 There is adequate evidence that exposure to solar ultraviolet (UV) radiation is a major etiological factor in human skin cancer . Managing the risk of skin cancer does not necessarily mean reducing or avoiding the hazard, i.e., exposure to the sun’s ultraviolet rays. For example, a walker who spends the day hiking across the hills on a summer’s day is choosing not to minimize personal risk of skin cancer, but rather to face it and embrace it as part of an attempt to maximize their enjoyment and quality of life. A pragmatic approach, therefore, is to adopt strategies that control the hazard commensurate with the need or desire to be outdoors.